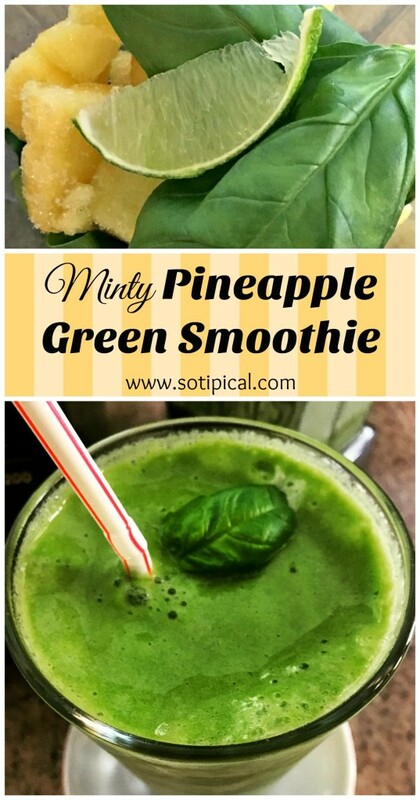 Today has been so hot and when lunchtime rolled around, all I could think of was making this Minty Pineapple Green Smoothie! 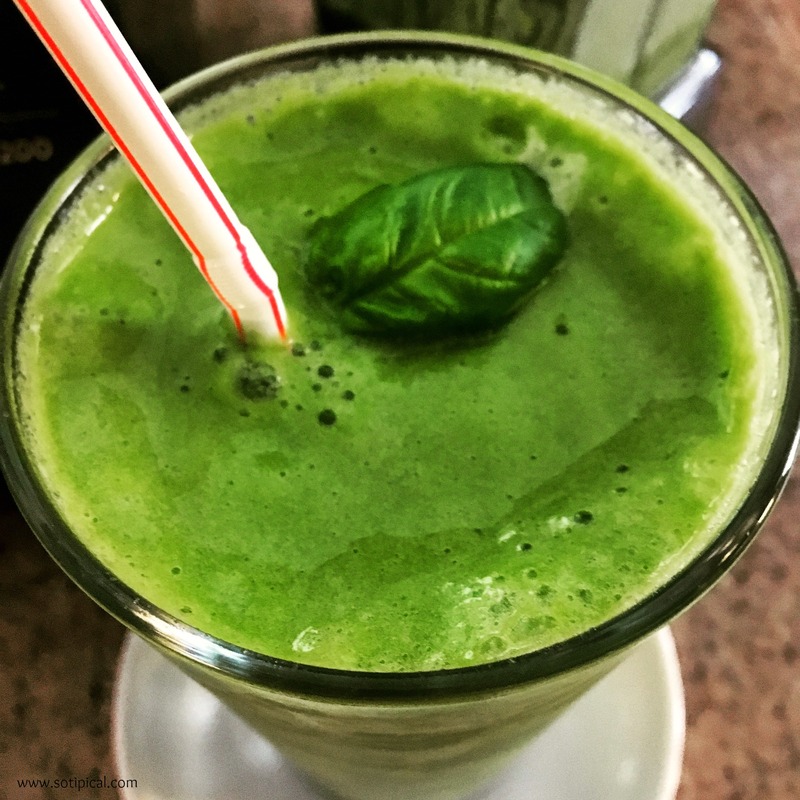 The hint of mint made my favorite green smoothie even more refreshing! You can add a plain or unflavored protein powder to this recipe as well. Today I decided to add a little bit of Bee Pollen. Not only is it nutrient dense, but it is also a great natural source of energy. I sometimes feel sluggish in the afternoon but the bee pollen helps a lot! I get mine at the farmer’s market, where they sell honey. Something else I like to do is add probiotics to my smoothies. The probiotic I use comes in capsules and requires refrigeration. Since the capsules are a bit too big for my kids to swallow, I found that I could just empty the capsule in my smoothie mixture and they don’t even know its there. Out of habit, I started doing the same for myself! 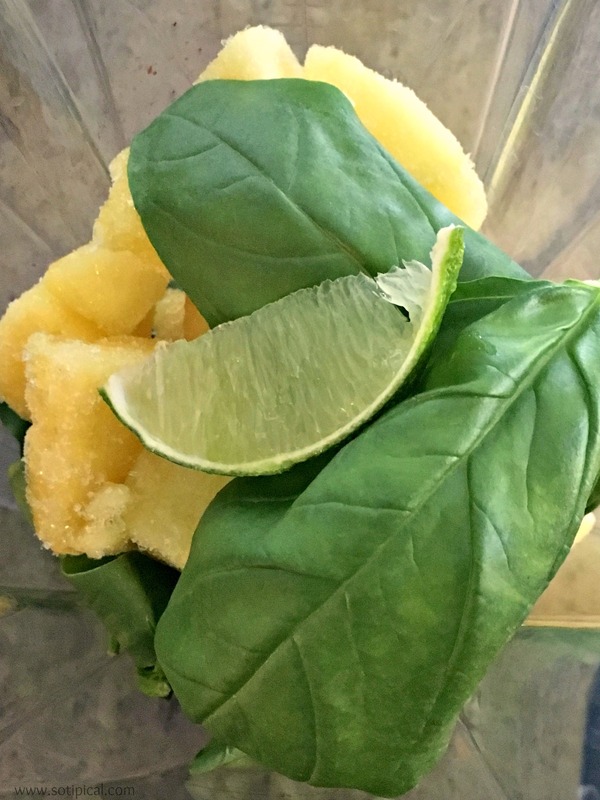 Place spinach, frozen pineapple, water and lime in your blender. (Coconut milk would also make a great substitute for the water, if you prefer a more creamy smoothie) Start on a low setting and slowly increase until mixture is smooth. I start on a low variable setting and increase to level 10. Then I switch to high setting until it is smooth in texture. Next you can add the bee pollen and honey to sweeten, if desired. 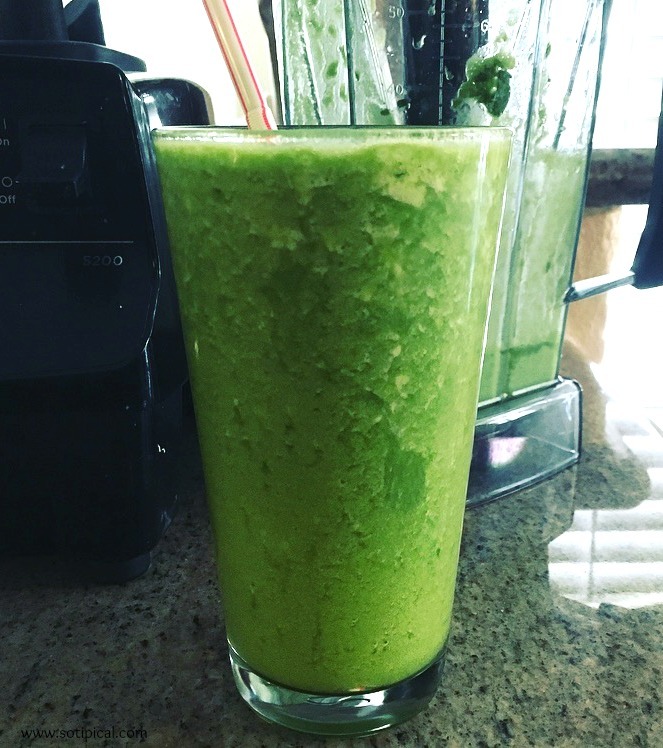 You can also adjust the consistency of the smoothie by adding more or less water. I also like to use frozen fruit to avoid adding so much ice. I find that it waters down the smoothie too much for me. I buy a variety of organic frozen fruit at the membership warehouse, but you can certainly freeze your own. TIP: Portion out fruit and greens for individual smoothies in plastic zip bags. Then pop them in the freezer for future use. Its so easy to grab one in the morning. Just add liquid and protein powder, if desired. You can make a smoothie quickly without a lot of prep! Click On This Image Below To Re-Pin!